Pipe lagging is an extremely important part of the plumbing process. To ensure pipes do not freeze and their temperature does not drop when passing through pipework, pipe lagging should be used on all exposed pipes. 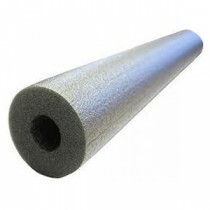 We supply the polyethelyne foam type pipe insulation in various diameters and wall thicknesses to ensure lagging of the correct size in all domestic applications.